We are usually closed on Sunday, but one man called this morning if he can come today. So I said, “Com’n over!! !” And he did. After 40 minutes of bathing, he came out with pink colored face and said, “I don’t feel sick anymore! Not at all!!! This is great!!! I knew this will work.” He also even thank me for building this facility. 1/2 price on every Wednesdays!!! Today is the day!!! Tobanyoku is only $10!!! 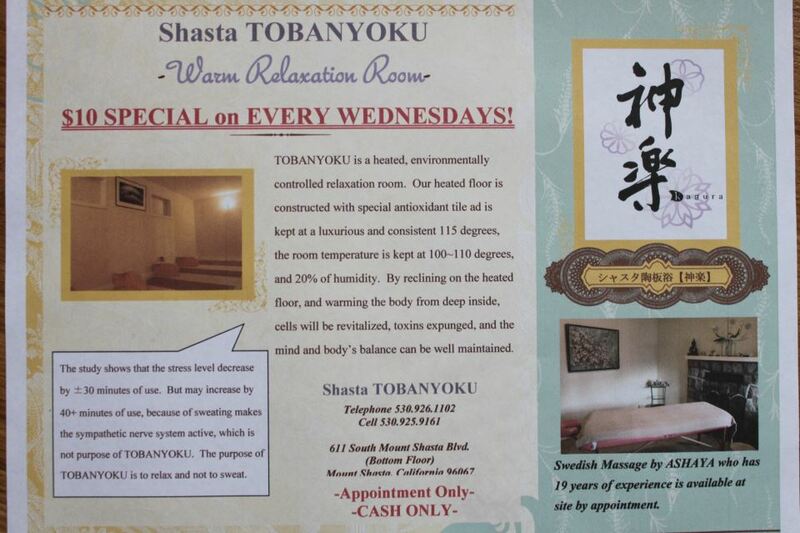 In this snowy/rainy day out there, it is great day for Tobanyoku with Ashaya’s massage! 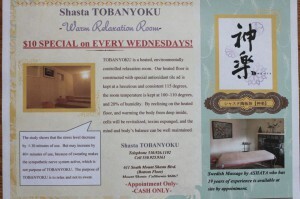 Our new room for massage by Ashaya Loveji who has 19 years of experience!!! It is a great combination with Tobanyoku!! !